This two-acre Downtown site overlooks Lake Michigan and is a key part of the local Redevelopment Agency’s continued efforts to revitalize the Downtown and its lakefront. With 11-stories of residential and an emphasis on terrace and ‘sky townhome’ unit planning, the development has three distinct residential products that mix with on-site parking and retail. The presence on the skyline from the waterfront is a key feature of the design. 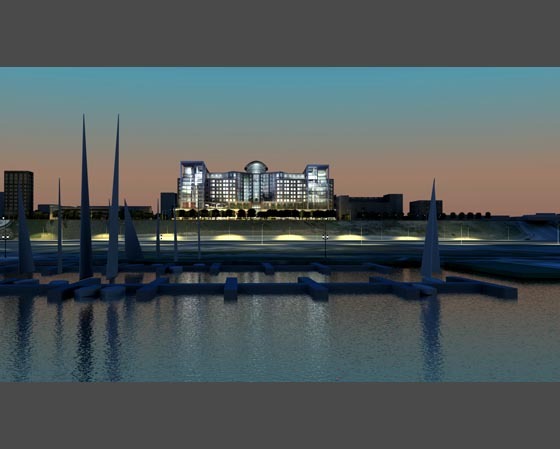 The design is designed to be equivalent to LEED certified levels of sustainability and energy and resource conservation.